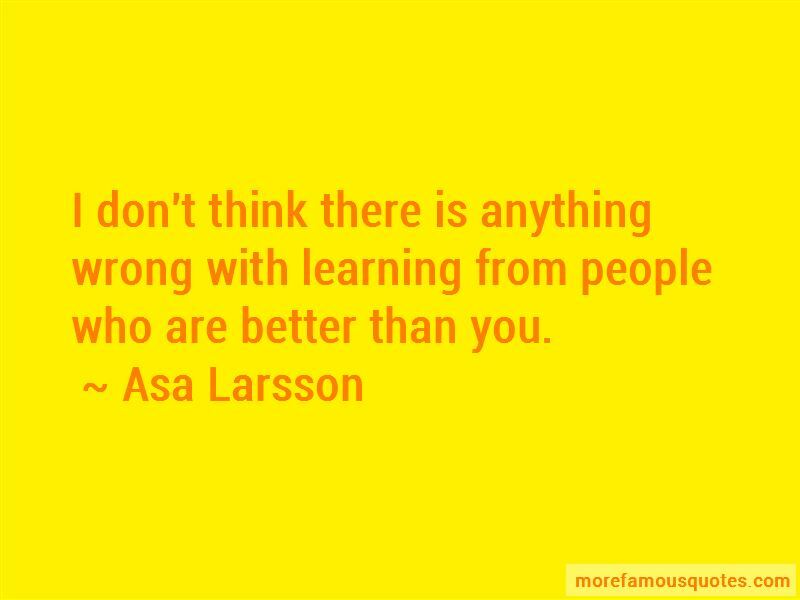 Enjoy the top 6 famous quotes, sayings and quotations by Asa Larsson. The northern part of Sweden is considered more isolated, not so sociable, not so educated, more unemployment, very working-class, and people drink more than rest of Sweden; that's the kind of area I'm from. 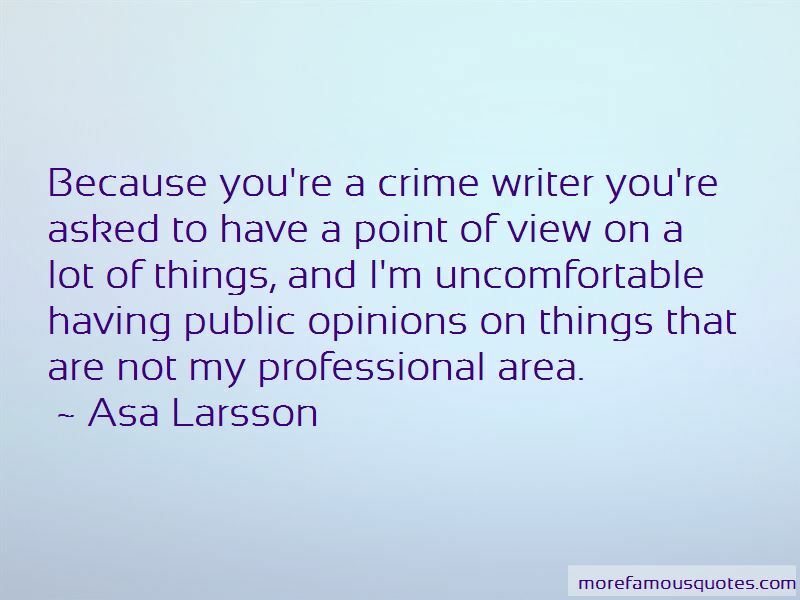 Because you're a crime writer you're asked to have a point of view on a lot of things, and I'm uncomfortable having public opinions on things that are not my professional area. 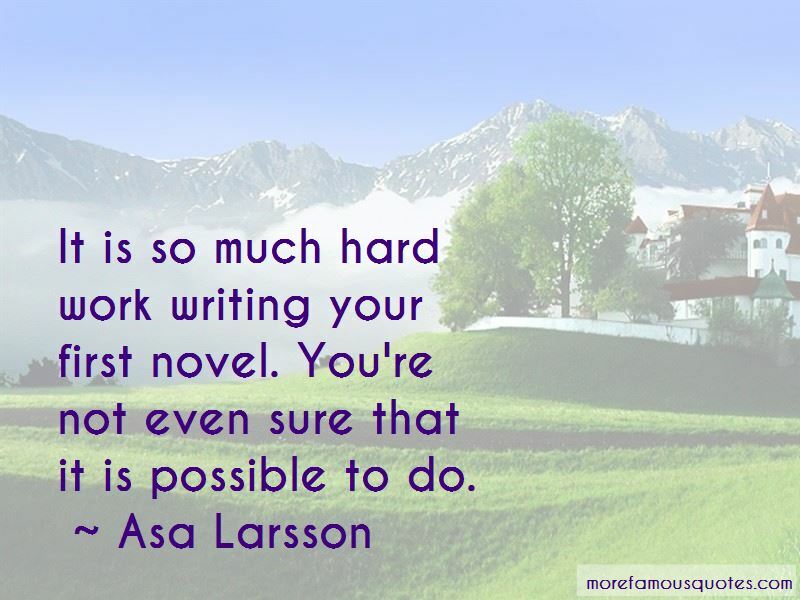 Want to see more pictures of Asa Larsson quotes? 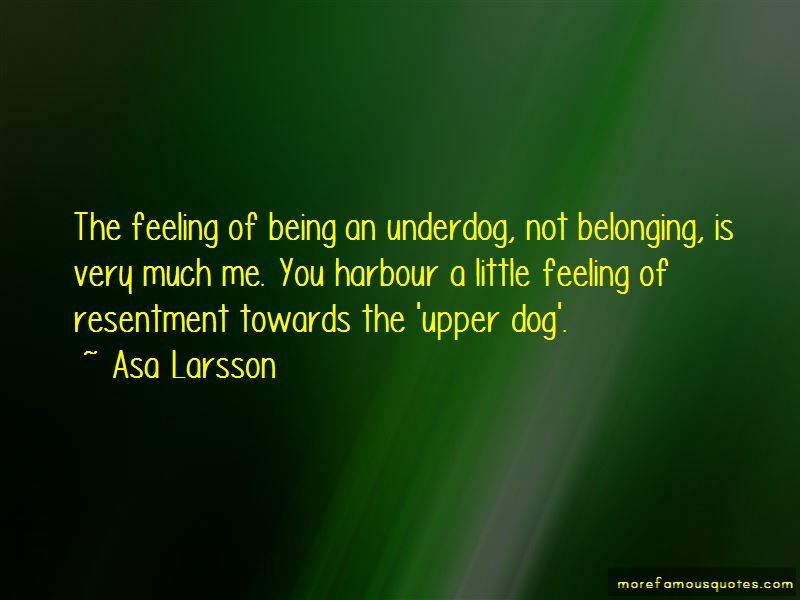 Click on image of Asa Larsson quotes to view full size.